Outliner Style Brushes manufactured by Scharff Brush for sale. Buy Outliner & Liner style brushes for sign painting, pinstriping for those who do hand lettering here. These style brushes are used for outlining letters, for scroll work, and applicable sign and pinstriping work. They also work well for fine lines, fine lettering, display or showcard work, and calligraphy. Scharff brush is a brand my own family has used for 3 generations. 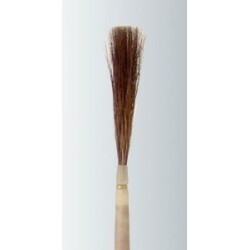 Scharff brush is known for making brushes that out last most all other brands. Bushes listed below!